Dots Desserts is a small shop near Oakridge mall. They offer a variety of parfaits, bubble teas, slushes and crepes. 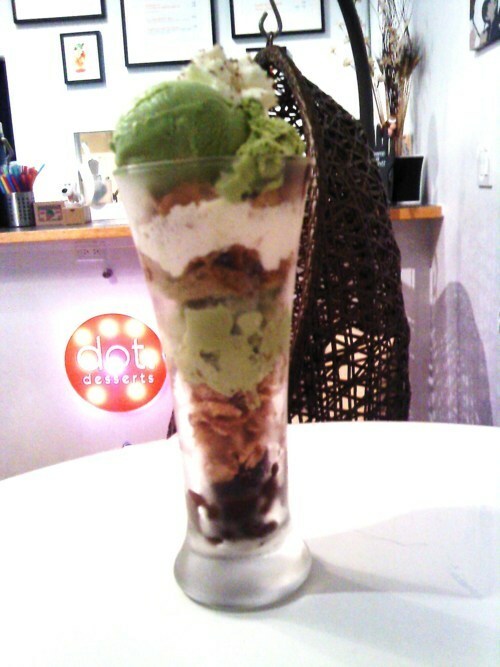 The matcha parfait contained green tea ice cream, red bean, corn flakes, cake, and whipped cream. The shop is extremely small though, so it’s best for a small group of friends. A great dessert shop overall!